This week we’re sharing another recipe from the talented Ciara Daly of the Getting Fed Up blog where she combines our Rainbow Trout with poached eggs and rosti potatoes. Sounds like the perfect weekend brunch combination to us! Place a large skillet over a medium to high heat. When it is hot, add the oil. To make the rosti, simply add the sweet potato and one of the eggs to a bowl. Season with a pinch of salt and mix until combined. Spoon the mixture onto the frying pan in small individual patties (around the size of a regular burger). Cook for 3 minutes until golden brown and then flip it over on to the other side. While the rosti is cooking, poach the remaining eggs and prepare the sauce. To make the sauce, simply add the ingredients to a mixing bowl and whisk until combined. Spoon the sauce onto the serving plates and lay a bed of rocket over it. Roll the smoked trout into a little cylinder shape and place alongside the rosti and egg once you have finished arranging them over the rocket leaves. Season once more with pinch of salt and pepper and finish by garnishing your dish with a sprinkling of the chili flakes. 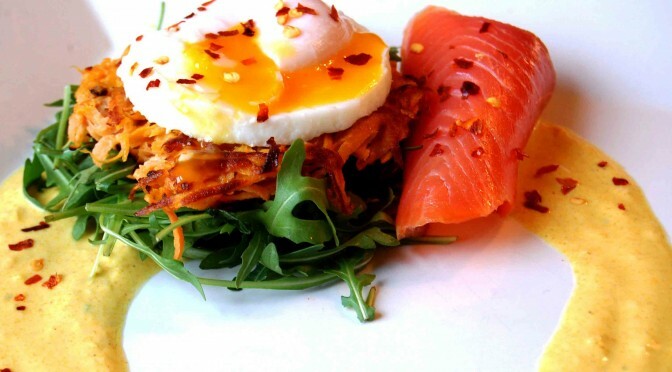 If you liked this easy Sweet Potato Rosti with Goatsbridge Trout and Poached Egg Recipe recipe you can buy sides of our smoked trout from our online shop here or in all good Irish supermarkets, including Supervalu and Dunnes Stores as well as specialist shops around the country . If you like oodles of flavour in your dinner, this subtle yet spicy trout recipe is worth trying. It takes just a few minutes to cook in a pan and can be served on its own with a slice or two of homemade bread, or with potatoes or rice which will soak up the juices. Prepare all the spices: mix together the fenugreek, mustard, fennel and cumin seeds and put to one side. Grind the poppy seeds and place to one side. Prick the chilli peppers with a sharp knife. Peel and thinly slice the garlic. Heat the oil and butter in a non stick pan, add the mixed spices until they begin to pop, then stir in the garlic, chilies, salt and garlic. Cook until the garlic begins to colour then add the poppy seed powder mix, the red chilli powder and the garam masala. Cook for about 20 seconds. Remove from the heat for a moment and add ½ cup of water. Return to the heat and cook until the liquid has dried off and you’re left with a spicy paste. Add the trout to the pan with a splash of water and shake to mix all the ingredients together. Cook uncovered for around five minutes until the fish is cooked through. Drizzle the lemon juice over the trout, gently stir in the coriander leaves and serve hot. If you liked this easy spicy trout recipe you can buy our fresh, boned rainbow trout fillets in freezer sized packs from our online shop here or in all good Irish supermarkets, including Supervalu and Dunnes Stores as well as specialist shops around the country . 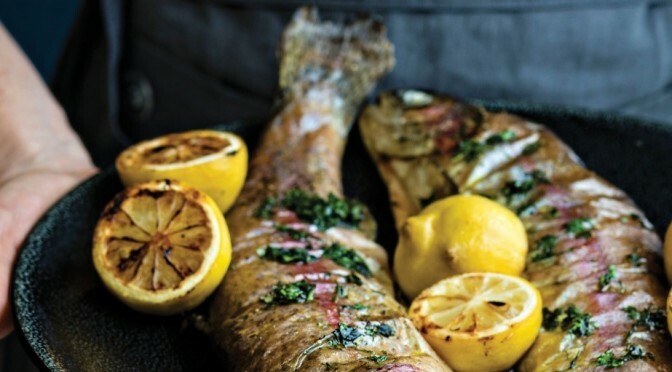 If you’re wondering how to cook fish, baked trout recipes are a quick and easy way to cook fillets or whole rainbow trout without too much bother. Because they’re often wrapped in foil, the Goatsbridge Rainbow Trout retains much of its goodness and flavour. 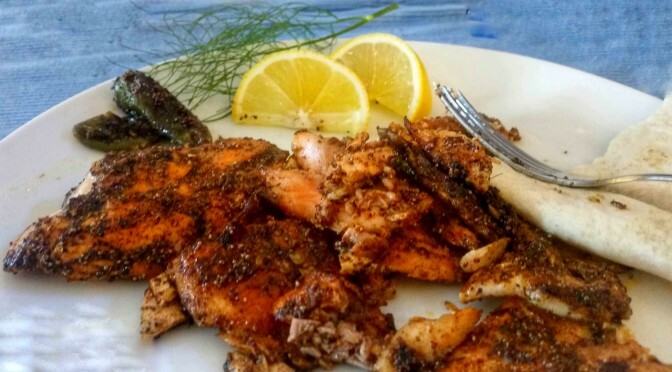 This Cajun baked trout recipe can be as hot or mild as you like and makes a great supper dish, no matter what the season. Preheat the oven to 190ºC. While the oven is heating, make a savoury crumble by lightly rubbing the butter and flour together with your fingertips until they reach a breadcrumb consistency then add the oats, Cajun spice and coriander leaf. Cut four pieces of tin foil large enough to envelope a trout fillet and place onto a baking tray. Put the Goatsbridge Trout Fillets onto the tin foil squares then squeeze the lemon juice on top and add salt and pepper. 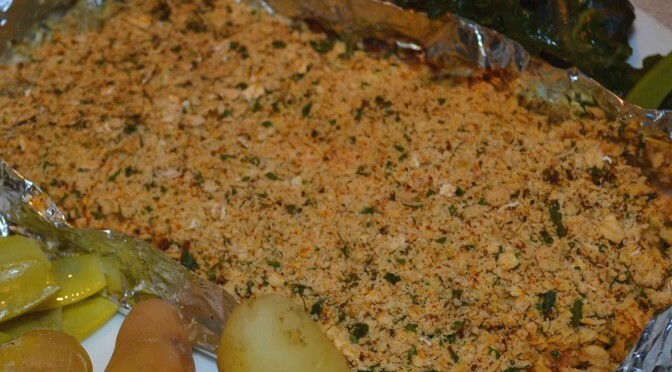 Sprinkle the savoury crumble on top of each trout fillet then wrap loosely in tin foil. Bake in the oven for twenty minutes. Serve with lightly steamed new potatoes and seasonal vegetables. 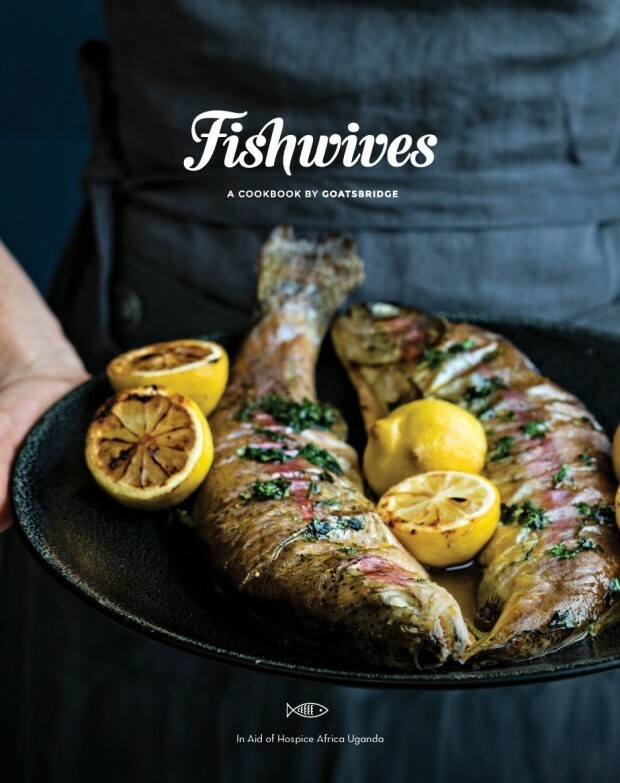 If you liked this easy baked trout recipe you can buy our Rainbow Trout in all good Irish supermarkets, including Supervalu and Dunnes Stores as well as specialist shops around the country . Thinly slice the baguettes to about 1 cm thick, lay on a tray and grill or bake until lightly toasted on both sides. 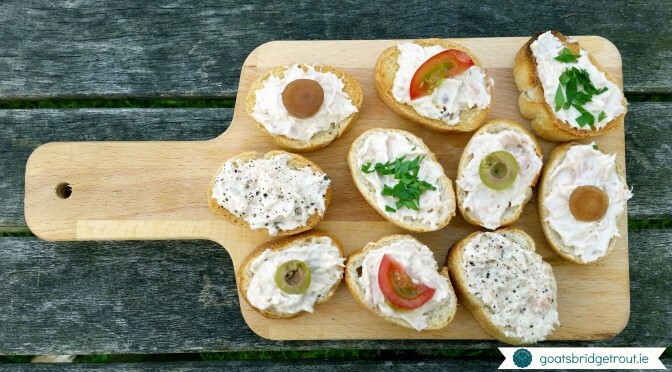 Place a teaspoonful of Goatsbridge Trout Pate on each slice of baguette until evenly distributed. Garnish with a carefully sliced topping of your choice. We used cocktail onions, green olives, baby tomatoes, cracked black peppercorns and parsley. 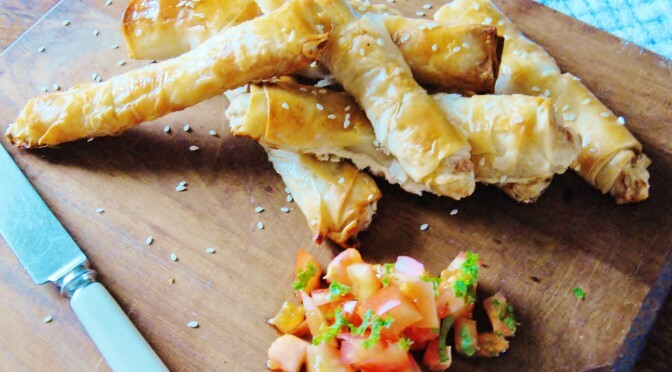 If you liked this easy canape recipe you can buy our Trout Pate in all good Irish supermarkets, including Supervalu and Dunnes Stores as well as specialist shops around the country .